We arrived in Port Elizabeth (Day 5) after dark. Today is a very relaxing day with potential to be extremely exciting. 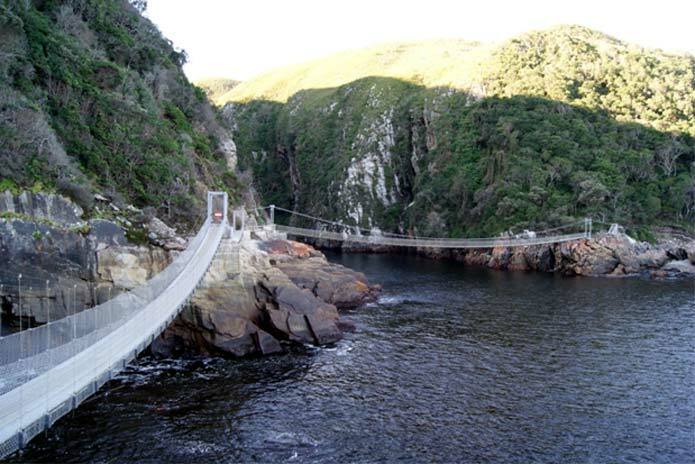 We drive to Tsitsikamma National Park and the only thing on the agenda is the walk in the National Park -- and the possibility of taking the plunge off the highest bridge jump in the World ( 216m). I posed the question for the jump and unfortunately we had no takers, so we head for the park. The weather just spectacular and before we enter the park we stopped at the quaint little Storms River village hotel for lunch. They make a "lekker" chicken burger. While waiting, I decided to take all to a novelty in town, the Elvis and Marilyn Monroe restaurant. Yep, they still have a huge Jukebox with all the Golden oldie rock songs on hand and as an added bonus there are 1968, 69 and 70 Cadillac’s on display. Suddenly everybody forgets their age and starts to Rock and Roll, having a great Wow moment at that. The Tsitsikamma National Park has spectacular scenery and all agreed that the day was a success. 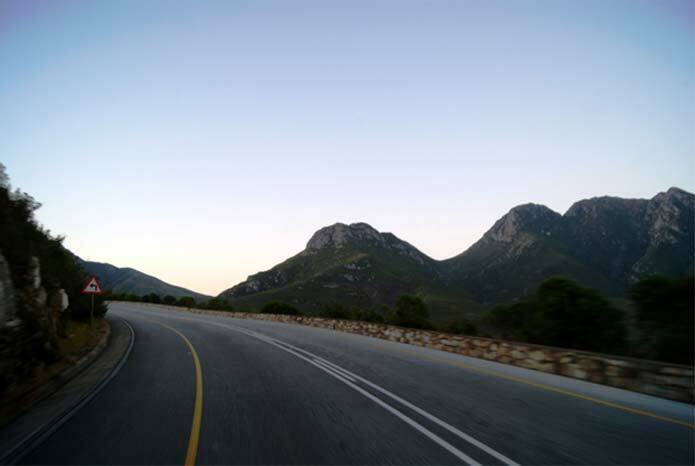 We are heading towards Oudtshoorn and we have a rather full day planned. Our first visit, to the Born in Africa was interesting but was let down by the school holidays. No kids means no fun (they usually provide Wow moments for the visitors. I had an ace up my sleeve; we are going on an optional whale spotting tour. My friends the Humpbacked Whales did not disappoint. When the first one arrived it was only a few meters from our boat. We stayed with them for more than an hour, always close...Wow. Our journey continued to Knysna where the group had some time for a short walkabout, before we set off to Oudtshoorn via the Garden Route's Lakes district and the spectacular Outeniqua Mountain Pass.